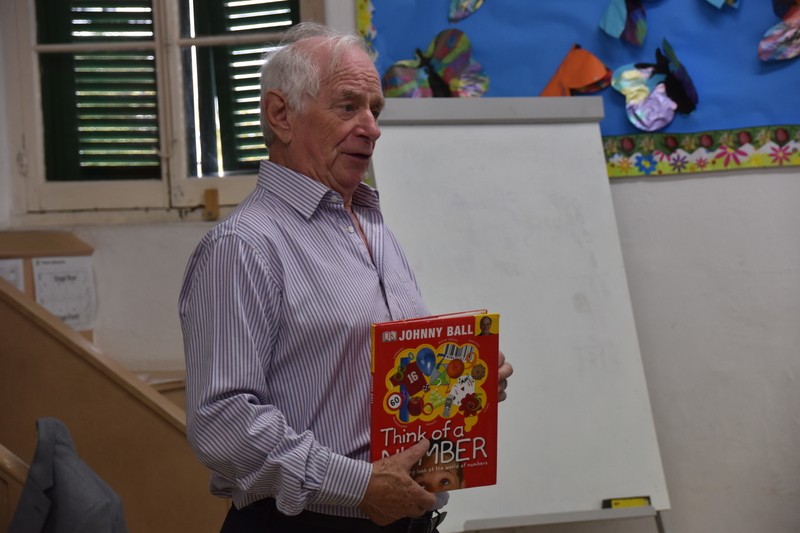 Mr Johnny Ball gave an exclusive Mathematics lesson to the Middle School Children at Loreto Convent School. Mr Ball, presented several series of a popular Science and Technology programme in the 1970’ and 1880’s. 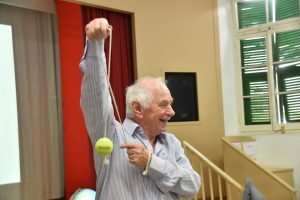 He is renowned for hosting entertaining and accessible shows which engage the children in learning, times haven’t changed! 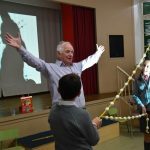 Mr Ball had the children in awe as he visually demonstrated the origins of Mathematics. Using hands on apparatus, the children were fascinated to see how easy calculation could be processed using a variety of different methods. 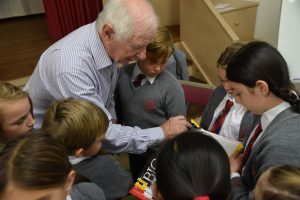 After an informative and lively presentation, the children were able to ask him questions. Loreto Convent School would like to thank Mr and Mrs Ball for visiting the school. Here are a list of books that will help children understand about Mathematics. Ball, Johnny (2005). Think of a number. Dorling Kindersley. ISBN1-4053-1031-6. Ball, Johnny (1982). 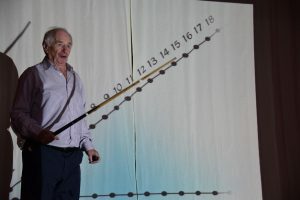 Johnny Ball’s Think Box. Puffin. ISBN0-14-031545-4. Ball, Johnny (1987). Johnny Ball’s Second Thinks. Puffin. ISBN0-14-031819-4. Ball, Johnny (1983). Plays for Laughs. Puffin. ISBN0-14-031548-9. Ball, Johnny (2011). Ball of Confusion. Faber and Faber. ISBN978-1-84831-348-4. Ball, Johnny (2009). Mathmagicians. Dorling Kindersley. ISBN1-4053-3727-3.